Congratulations! You’ve finally found that you’ll be blessed with a baby boy soon. We’re sure the bundle of joy will fill your life with wonder, joy, and amazement. Now that you’ve found out the gender of the baby, it’s time you start your hunt for the perfect name. We think the letter S would make a perfect initial for your baby. S, one of the most compelling letters of the alphabet, is equivalent to one in numerology, the most authoritative number. Therefore, a child with this initial is destined to be successful and influential. The letter S also brings with itself confidence, determination, and conviction, which gives the bearer courage and will power. S boys are very appreciative of relationships and make good companions, but would require the support of their partner all the time. 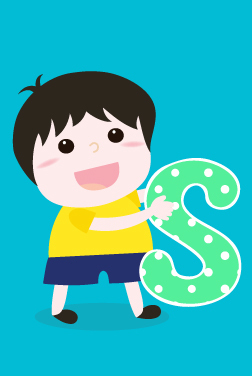 Furthermore, some of the most awesome baby boy names start with the letter S, such as Scott, Simon, and Stephen. But there are hundreds of new varieties, which you’re probably not aware of, such as Saacha, Saadhik, and Srecko. So start your hunt right away from MomJunction's baby name list below.